After searching high and low for a water purification system that ticked all the boxes that the Life Giving Force team deemed necessary to meet the specific conditions in Haiti, we set about designing and building one ourselves. Et Voila! The LGF UV manual hand pump system came into being. 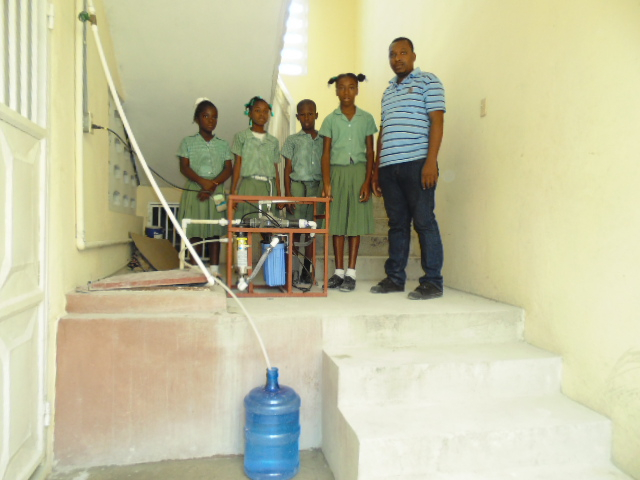 Not only is it portable, robust, simple to use, requires little to no maintenance and produces high quality drinking water at low cost, we also employ at risk youth from the slums of Cite Soleil to help us weld the frames that house the system and thereby teaching them a trade. Another piece of good news is that they can be powered by solar rather than dirty diesel generators. 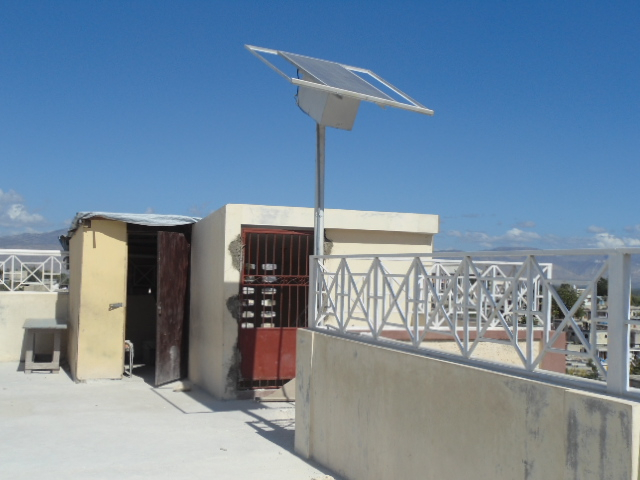 In addition, LGF’s in-country team in Haiti, headed up by our Program Manager- Technical, Ronald Lacrete, are now adept at building these systems out and with our partners, Happy Hearts, the team just installed yet another of these great systems with solar panels at the Happy Hearts school in Muspan, Haiti. The teachers, pictured here, are extremely happy with the new water purification system as they know that clean drinking water equates to healthier kids which in turn equates higher attendance rates at school. LGF Haiti are happy to be helping ensure that the precious kids of Haiti get the best shot at getting the best education that they can. This entry was posted in LifeGivingForce Foundation, Partners, Stories, Uncategorized and tagged clean drinking water, clean water, Haiti, Haiti earthquake, Happy Hearts Fund, http://www.happyheartsfund.org/. Bookmark the permalink. Post a comment or leave a trackback: Trackback URL.